I have chosen to work with dance within a broad spectrum from graphic prints and dance film, to movement installations and staged dance works. Collaboration and teaching dance is also an integral part of my practice. Acting Course Director of the MA in Contemporary Dance Performance at The Irish World Academy of Music and Dance, University of Limerick, Ireland. Folders - a community dance work for teenagers in Cork City. Research and development with visual artist Astrid Walsh, composer Irene Buckley and dancers Helga Deasy and Siobhan Ni Dhuinnin. Cork Midsummer Festival | Firkin Crane, Cork, Ireland. 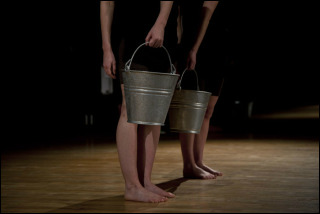 Premier of Folders - community dance work | hosting 2 local dance artist's works | Wunderbar. End of Cork's Dancer in Residence Event. Folders - 2pm - 4pm at Firkin Crane, Cork. Teenagers (aged 13 - 18) welcome. Work is never done. This live dance performance explores how the raw simplicity of two working women. Opposite to one another, “work” is challenged through the physical repetition of movements. Quirky scenes from daily life emerge and disappear. Grounds is a live site-specific dance performance/installation involving two dancers and one opera singer. Symposium: Laura Murphy & Gemma Riggs, Between Screen Dance and Live Performance. 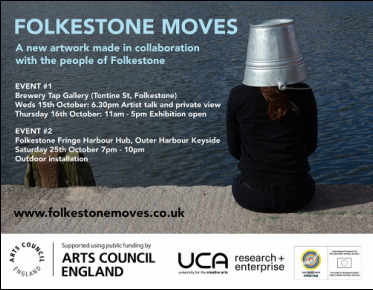 Based on our collaboration between film/visual art and dance to include Internal Facade, Step and Folkestone Moves. A site specific collaboration with visual artist Gemma Riggs and sound artist JJ Maurage. Working with the community of Folkestone to create a new choreographic film installation in Folkestone Harbour as part of this year's Folkestone Fringe Festival. Exhibition 16th October - 19th October, 11am - 5pm. Installation at Folkestone Fringe Harbour Hub 25th October, 7pm - 10pm. Supported by Arts Council England and The University of the Creative Arts. 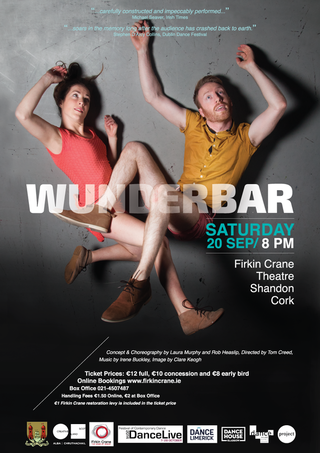 Full length production of Wunderbar to premier at Firkin Crane Theatre, Cork. Conceived and Choreographed by Laura Murphy & Rob Heaslip. Live Music Score by Irene Buckley. Production residency at Firkin Crane Theatre, Cork. This marks the beginning of my third year as Dancer in Residence at Firkin Crane with the kind support of the Arts Council, Cork City Council and Firkin Crane. Choreographed by Rob Heaslip of max.IMEALLdance Company, I will be performing 2-1-2 with dancers Joanne Pirrie and Fiona Jeffries at Get Scotland Dancing, The Merchant City Festival, Glasgow. A Dance Concerto is a community dance project I am creating in collaboration with Irene Buckley. Based on Laban's Movement Choirs from the 1940s, A Dance Concerto will integrate professional, pre-professional and community dancers and musicians along side an inter-generational community cast from Cork City. A Dance Concerto merges the dancer's movements with the musician's sounds using tin cans of food as a structure from which the dance and music evolves. Price: Euro 5 plus two tins of food. (Tins of fruit and/or beans is requested). All the cans of food will be donated to Cork Penny Dinners. Step, a Dance Film I co-created in Bucharest 2013 in collaboration with Gemma Riggs was selected for the Whitstable Biennale 2014 in the UK. For further details on Step, please see September 22 (below). Wunderbar is a duet co-created and performed with dance artist Rob Heaslip in collaboration with composer Irene Buckley and dramaturge Ailish Claffey. Wunderbar begins with a fall, and ends on a high. It has the trajectory of a firework; it rises through a graceful arc and explodes. These dancers were never going to fall, or let the audience down. Wunderbar soars in the memory long after the audience has crashed back to earth. 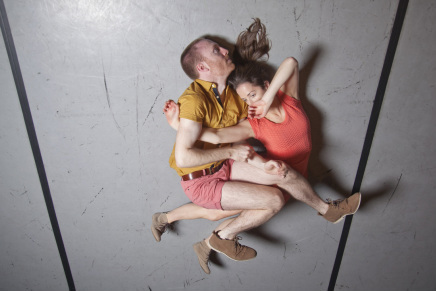 Wunderbar, by Laura Murphy and Rob Heaslip is a carefully constructed and impeccably performed investigation into partnerships where the dancers seek equilibrium within shifting personal dynamics. Cipher. Image by Gemma Riggs. Dance Films, Step and Cipher which I co-created with visual artist Gemma Riggs will be screened at Tipperary Dance Platform along side video work by Mariiana Bellotto. I am delighted to be back at Firkin Crane, Cork as the Dancer in Residence for 2013/2014. The focus of the residency is to promote a professional practice of dance in the city. As part of the residency, I will host a number of classes, projects and opportunities for professional, semi-professional and community dancers. For further information and updates on opportunities/projects please CLICK. For the launch of Dance Limerick, I was performing with dancers with Katherine O'Malley, Lisa McLoughlin, Nora Rodriguez and Dagmara Jerzak in a specially created commission by choreographer Mary Nunan. Step, a film created by Laura Murphy and Gemma Riggs. Image by Gemma Riggs. Costal Currents Arts Festival, Hastings & St. Leonards, UK. Cipher and Step are two new dance based films I co-created with Gemma Riggs 2013. Both films were invited to Costal Currents Arts Festival to be screened as part of their Pop-Up Cinema Screening day. Cipher, (Riga, Lativa) was originally created as a durational installation. It plays with the trajectory of the body within a considered frame using repetition and pace to created a metronomic effect. Step (right), was filmed on the grounds of Ceauçescu's Palace of the Parliment, Bucharest, Romania and uses the stark marble of the controversial building to frame the moving body and create a sound score. Sound design: JJ Maurage (UK). Unfold. Image by Monique Besten. Cork Film Centre, Gunpowder Mills, Ballincollig, Cork, Ireland. Exhibition opening: 6.30pm, 12th September 2013. Gallery opening hours: 10am - 5.30pm, Wed-Sat. Unfold is a series of film installations created from my collaborations with visual artists Monique Besten and Gemma Riggs. The exhibition looks at the ephemerality of the moving body and it's relation to the pictorial form and space. Unfold is kindly supported by Cork City Council and Cork Film Centre. B-Motion Festival, Bassano del Grappa, Italy. Awarded a Carte Blanche by Module Dance, I am a guest at B.Motion Dance Festival in Bassano del Grappa, Italy. Studying with Chisato Ono, Manfredi Perego, Sharon Fridman & Elena Giannotti and attending the programme of performances and events curated by Roberto Casarotto. Thanks to Dance Ireland, Module Dance, Operaestate, B.Motion. 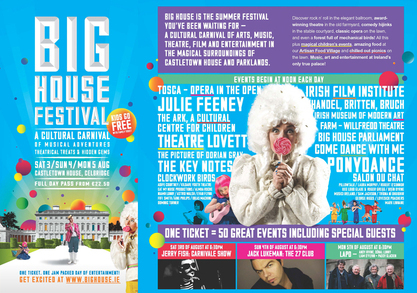 BIG House Festival, Castletown House, Co.Kildare. Grounds will be performed twice daily at the BIG House Festival curated by The Performance Corporation, Castletown House, Co.Kildare. Grounds explores how the raw simplicity of physical tasks affect two working women. What is suggested as work is challenged through the medium of dance in the repetition of daily chores & movements which are somewhat absurd. 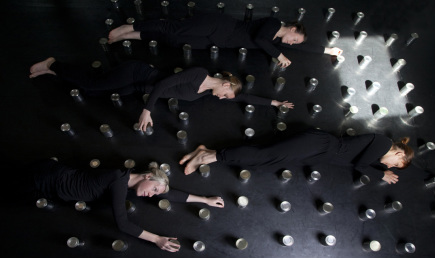 Grounds is a live site-specific dance installation involving two dancers and one opera singer. Blank Cavas Residency, Firkin Crane, Cork. This dance duet is exploring our dependency to reach an equilibrium, a balance to co-exist within human interactions; What conditions probe partnerships to succeed? Does striving for an equilibrium create that harmony to bind us? Can interference lead to side-effects, and what would happen if the equilibrium were to flinch, alter or break down? Do we/I adapt, or do the partnerships fall apart? This project is kindly supported by Firkin Crane and Creative Scotland. At Firkin Crane, Cork, A Dance Brew will amalgamate much of the work I have been creating over the past nine month period of my residency as Cork's Dancer in Residence at Firkin Crane. A Community dance project with 8 teenagers presents 3 short dance films and a photography exhibition. I directed this project in collaboration with film maker Ciara Hyland, photographer Clare Keogh and composer Irene Buckley. As part of my residency I hosted Inquiry, (periods of research and mentorship for professional dance artists.) Open Inquiry selects 4 choreographers who took part in Inquiry over the past 9 months to include Ursula Chapman, Helga Deasy, Claire Keating & Stawk and Mairead Vaughan. 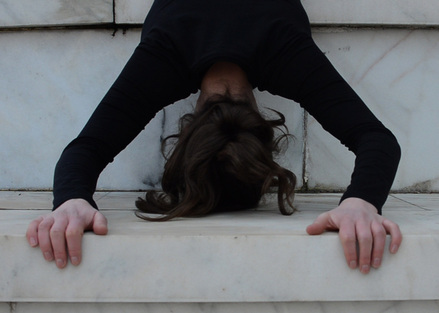 Also presenting will be Berlin based Cork dance artist Cathy Walsh. A Dance Brew will offer visitors the opportunity to tour Firkin Crane studios and witness works-in-progress by the above choreographers. This event is made possible by the Arts Council, Cork City Council, Firkin Crane and Cork Film Centre. A one minute dance film created by Mary Wycherley with sound by Jurgen Simpson. This film in which I performed with Siobhan Ni Dhuinnin was created as part of Dance Ireland 21 Anniversary and launched on the 21 April 2013. "Weaving a thread of connection between dance, film and performance art, Contour explores the body as 'landscape' and a space in which autobiography is embodied in movement"
The final artistic research period for E-Motional Bodies and Cities is currently underway in Bucharest where I am working in collaboration with Gemma Riggs (UK), Mircea Ghinea (Romania), Kaspers Lielgalvis (Latvia) and Alexis Vassiliou (Cyprus)) at The National Museum of Contemporary Art for two weeks. This will culminate in E-Motional Festival: moving bodies & cities between April 12-14. The festival will include some of the fruits from our work in Romania, Latvia, Cyprus, the U.K and Ireland, (2011-2013), in the format of video & photo installations, process sharing sessions and performances, along side two roundtables dedicated to European projects and artistic collaborations at international level. 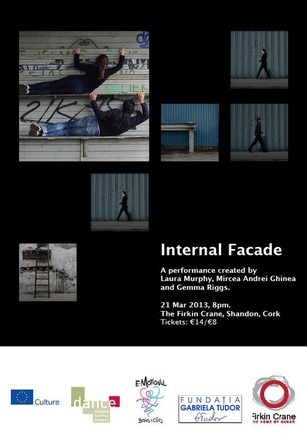 Internal Facade will be premiered as an international co-production, Sunday 14 April at 18.00. The festival is funded through the Culture 2007-2013 programme of the EU and by the European Cultural Foundation (Amsterdam) in the frame of the E-Motional Bodies & Cities programme. Internal Facade is a collaboration I am working on with Gemma Riggs (visual artist) and Mircea Ghinea (choreographer/performer). The concept for the work stemmed from artistic research in Riga, (September 2012), as part of E-Motional Bodies and Cities, a European-wide cultural exchange initiative. work further. This performance precedes it’s official premiere at The Museum of Contemporary Art, Bucharest, Romania on the 14th of April 2013.
performance and installation is questioned. I am working in London at Watermans Art Centre. This residency, London -Mapping the E-Motional City is produced and hosted by body>data>space, where I will work with 4 other inter-disciplinary artists exploring the megatropolis and it's underlying bodies and emotions. (Gemma Riggs (UK), Mircea Ghinea (Romania), Kaspers Lielgalvis (Latvia) and Alexis Vassiliou (Cyprus)). We commenced our research together in September 2012 in Riga. The residency is part of E-Motional Bodies and Cities, a two-year European mobility and artistic exchange programme gathering artists and managers from six European countries - Romania, Cyprus, Ireland, United Kingdom and Turket. The flagship of E-Motional is this interdisciplinary artistic research that explores creatively the relations between the human body, the urban and geo-political context and new technologies. The spring programme at The Firkin Crane will premier a collaborative project Internal Facade which I will work on with Gemma Riggs and Mircea Andrei Ghinea. Growing out of research on our experiences of bodies in cities, Internal Facade layers live performance and video to frame the intangibility of a dancer's movements in space and time. Motioncapture is part of Cork Film Festival 2012, which will show a selected number of dance films including work by Shakram Dance Company, Steven Briand, CoisCeim, Rachel Sweeney, Miranda Tufnell and Katrin Neue. October is a busy month as I start as Cork's Dancer in Residence at The Firkin Crane. The post was recently awarded to me by The Arts Council's Dancer in Residence Scheme and this is the first time Cork has been selected as a recipient under this award. The residency will include promoting professional dance in Cork with classes, mentoring (professional dancers/choreographers) and providing platforms for dance artists to develop their own work. 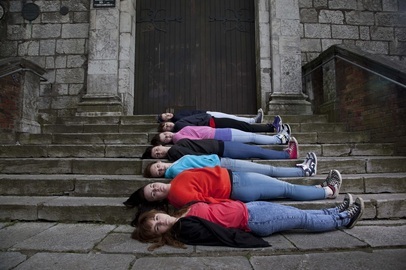 It also involves a community dance project, Assembling Moments, where I will work with local teenagers (aged 15 - 18) in collaboration with film maker Ciara Hyland, photographer Clare Keogh and composer Irene Buckley. For more information and to follow Cork's Dancer in Residence please see facebook. 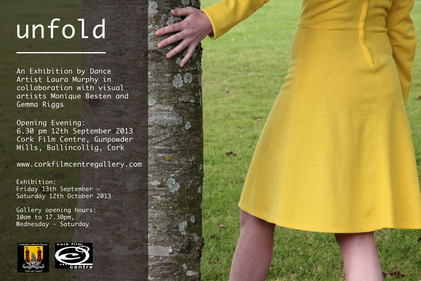 A Yellow Dress is exhibiting at The Andrew Stone Gallery as part of Westport Arts Festival, 01 - 15 October 2012. I worked in Riga, Latvia for 2 weeks (September 1-15) with artists from Cyprus, Lativa, Romania and the U.K - to include Mircea Ghinea (performer, RO), Kaspars Lielgalvis (visual artist and set designer, LV), Gemma Riggs (film, fideo and installation artist, UK) and Alexis Vassiliou (Choreographer and performer, CY), together with associated artists Ivars Tilchiks (lighting designer, LV), and an accompanying scenographer. We worked collaboratively at the Art Centre TOTALDOBZE. The focus of the research was "Illusions of Riga".This first working period was organised in Riga by the Association of Professional Dance Choreographers of Latvia. 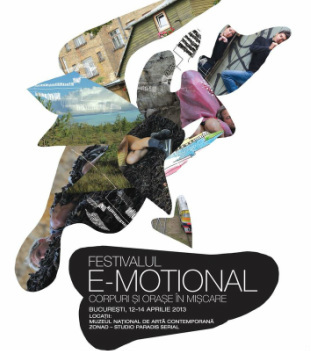 Our collaboration will continue in London (January 2012) and in Bucharest (April 2013) in the frame of the final project event – the E-Motional Festival / Forum. I will soon take up the position of Cork's Dancer in Residence at The Firkin Crane. The post was recently awarded to me by The Arts Council's Dancer in Residence Scheme and this is the first time Cork has been selected as a recipient under this award! This residency is a partnership between myself, Cork City Council and The Firkin Crane. Liz Meany, Arts Officer at Cork City Council, Paul McCarthy, Director at The Firkin Crane and I have collaborated to host and develop an exciting programme of dance projects in Cork throughout 2012/2013. I will commence my residency at The Firkin Crane, Cork, Ireland in October 2012 for a period of 9 months. Various dance projects are currently in planning and will be launched in October of this year. I have recently been selected for E-MOTIONAL Bodies and Cities, A European Mobility and Artistic Exchange Dance Programme (2012-1013). I will travel to Riga (Lativa) in September 2012, London (U.K) in January 2013 and Bucharest (Romania) in March 2013 for residencies with 5 other selected European Dance Artists. I worked assisting Fearghus O Conchúir for his upcoming prodution Starlight for Cork's Midsummer Festival 2012. A Yellow Dress print "Choice" was selected to exhibit at Garter Lane Arts Theatre, Waterford for the Bealtaine 2012 "What kind of old do you want to be?" Performing at Dance Ireland, Dublin with Max.IMEALL Dance Company, choreography Robert Heaslip. Recipient, Artist Bursary Award, Cork County Council. Recipient, Artist Bursary Award, Cork City Council. Recipient, Choreographic Bursary Award, Dance Ireland. Travel and Training Award, The Arts Council.